For a quick picture of what I’m working on, here’s a word cloud built out of the contents of my papers. Daniel Lamprecht: Analyzing, Modeling and Improving Navigability in Networked Information Systems. Doctoral thesis, submitted to Graz University of Technology to obtain the degree of Doktor der technischen Wissenschaften under the supervision of Markus Strohmaier. 5th International Workshop on Complex Networks and their Applications, Milan, Italy, 2016. 12th International Symposium on Open Collaboration (OpenSym 2016), Berlin, Germany, 2016. New Review of Hypermedia and Multimedia, Volume 23, Number 1 / 2016, pages 29-50. 15th International Conference on Knowledge Technologies and Data-Driven Business (I-KNOW’15), Graz, Austria, 2015. Quo Vadis? On the Effects of Wikipedia’s Policies on Navigation Wikipedia, a Social Pedia: Research Challenges and Opportunities: Workshop at 9th International Conference on Web and Social Media (ICWSM’15), Oxford, UK, 2015. Using ontologies to model human navigation behavior in information networks – a study based on Wikipedia. Semantic Web Journal, Volume 6, Number 4 / 2015, pages 403-422. Daniel Lamprecht, Denis Helic and Markus Strohmaier: Navigation Dynamics in Recommendation Networks (Poster). International School and Conference on Network Science (NetSci’14), Berkeley, CA, USA, 2014. 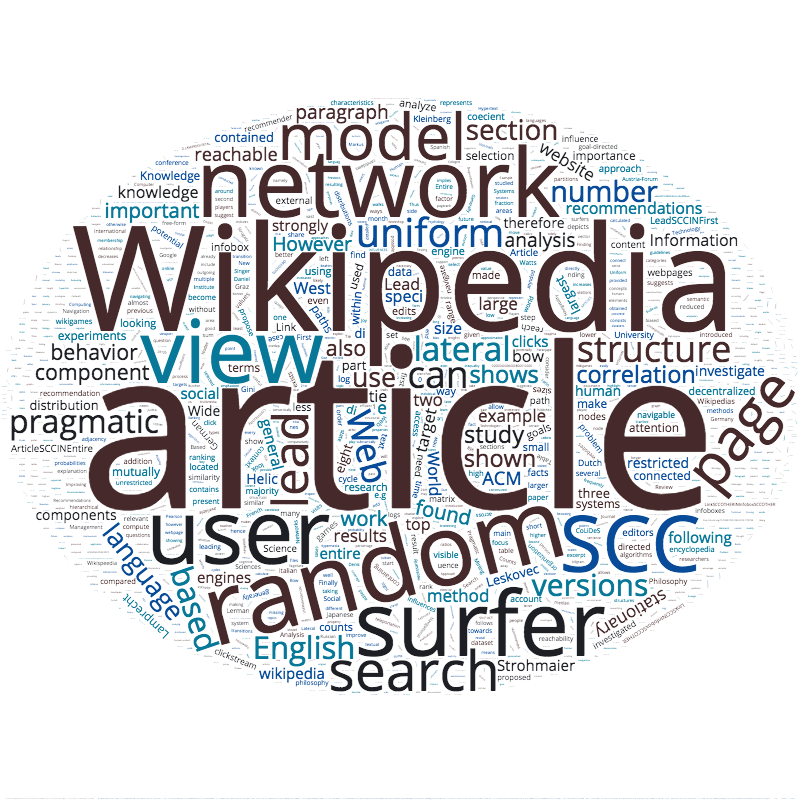 Journal of Web Semantics: Science, Services and Agents on the World Wide Web, 20 (2013): 18-34.